It’s been 30 years since the 1984-85 Ethiopian famine that shocked the world and killed an estimated one million people and less than fiv e since the 2011-2012 Horn of Africa drought – the worst in 60 years – caused a severe food crisis across Somalia, Djibouti, Ethiopia and Kenya that threatened the livelihood of 9.5 million people. As we recognize World Food Day on October 16, we are also hearing the UN forecast another drought in this same region: by 2016, as many as 15 million people in Ethiopia could require food assistance, and suffer from greater food insecurity and malnutrition because of extreme water and pasture shortages. The situation is equally concerning in northern Ghana, where half a million people are food insecure, and another half a million are at high risk of food insecurity. This translates into severe food shortages for up to six months of the year for a significant percentage of people in the Upper East, Upper West and Northern Regions. Unlike southern Ghana, there is only one rainy season in the north, which is followed by a long dry season. Climate-related shocks, such as floods and droughts threaten northern Ghana’s impoverished smallholder farmers. In recent years, Ghana has also been dealt a hard economic blow, with significant depreciation of the Ghanaian cedi and rising inflation and food prices, both of which disproportionately affect farmers in the north. CFTC works in northern Ghana and in Ethiopia (in particular in the Amhara Region), where drought, flooding, other climate risks and widespread food insecurity continue to threaten millions of people, including smallholder farmers who produce most of the food and are themselves most susceptible to food shortages. 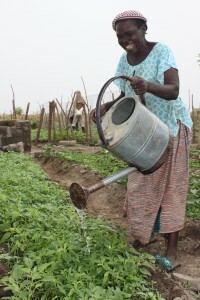 In both the Amhara Region of Ethiopia and in northern Ghana, where we are running large-scale agricultural and livelihood programming, farm families struggle significantly with poor availability of farming inputs, lack of agricultural extension workers to support progressive farming techniques, and ultimately, food and economic insecurity. These challenges are exacerbated by the growing and cumulative impacts of climate risks. While each area faces common challenges, each requires its own unique solution. For example, to meet the needs of northern Ghanaian communities where desertification and deforestation, and declining soil fertility is widespread, CFTC has been working to address food insecurity through climate change adaptation since 2013. Working in 17 communities, the Climate Change in Northern Ghana Enhanced (CHANGE) project focuses on climate-smart agricultural training and alternative agricultural and non-agricultural livelihood development. 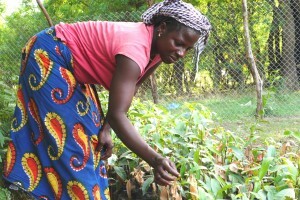 Through CHANGE, smallholder farmers in northern Ghana have learned climate-friendly farming practices, gained access to community and government agricultural extension support, and learned weather forecasting and other skills through radio listener groups and radio-based training (with Canadian coalition partner, Farm Radio International). CHANGE also improves alternative (non-agricultural) income and business development opportunities, with a specific focus on sustaining women’s livelihoods. 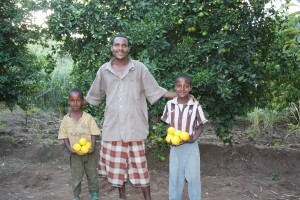 In July 2015, CFTC was selected by esteemed Canadian NGO Canadian Hunger Foundation (CHF) to assume responsibility for two development initiatives then underway (with generous funding from the Government of Canada): the Resilient and Sustainable Livelihoods Transformation (RESULT) project in northern Ghana, and Market-Led Improved Livelihoods in Eastern Amhara Region (MILEAR) in Ethiopia. These have allowed CFTC to scale up our impact and reach an additional 160,000 direct beneficiaries to build their capacity to achieve greater food security. Much like CHANGE, RESULT is strengthening poor rural communities in northern Ghana by increasing and diversifying what is produced on farms, building on existing sources of income, and establishing new income opportunities. Families are becoming more resilient to climate change, accessing better prices for their crops, and women are empowering themselves. In total, 120,000 people are benefiting from the project, being implemented by local partner ACDEP (the Association of Church-based Development NGOs) in seven districts in the Upper East Region and Upper West Region of Ghana. Like CHANGE (and also MILEAR), RESULT includes a specific focus on the constraints that prevent women from fully participating in farm-based economic development activities and supports women’s empowerment to contribute to improved food security. Sixty per cent of the project participants are women. MILEAR – being implemented in the northeastern Amhara Region of Ethiopia – takes a market-driven approach to building greater food security. Through market-led agricultural production, MILEAR helps farmers access and test new drought-resistant and high-value seeds, diversify their crops, extend their growing season through irrigation and new crop varieties, and get the best price possible at market. While the Amhara Region faces regular environmental events like droughts and flooding, MILEAR’s focus is to couple climate adaptation strategies (like conservation agriculture, better water catchment and use, and reforestation) with improved agriculture production and incomes. For the remaining 25 per cent of beneficiaries, who are reasonably food secure but still living in situations of risk, MILEAR promotes market-led income-generating activities. This means, for example, that farmers will grow crops that are in demand by the market, in addition to staple crops that will provide food for their family. The focus is on addressing issues of demand, supply, pricing of commodities and inputs, and business development services. 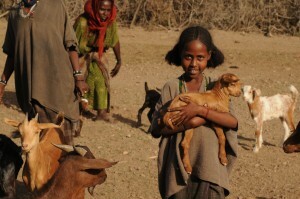 In the face of predictions of greater food insecurity for this area of Ethiopia (similar to predictions of ongoing drought and erratic rainfall in northern Ghana), it becomes ever more important to implement programs that address the precariousness of food availability, access, and consumption with strategies that are both innovative and flexible. While these may be structured differently in different regions, their goals are the same: to address food shortages in the short term, and bring greater community resilience and agriculture-based prosperity to some of the world’s most vulnerable families sustainably and for the long term.